There’s another Haiku monthly activity report for April that came out a few days ago. And as always! There’s some interesting changes, bugfixes, and improvements in there. So, here we go thru some of them here. This article can be a bit heavy for someone, but Haiku development shouldn’t be forgotten. At Haiku-os.org they have posted the developers activity which we look at in this article. One of the most exciting developments this month is done by Korli which now started to work on a 32-bit and 64-bit hybrid solution for Haiku. The idea is to run a 64-bit system, but allow 32-bit applications to run on it. While they are just at the very first steps, it is a good thing that this is being worked on, as it will allow the Haiku development team to move more smoothly towards 64-bit support of this BeOS based operating system. Earlier, Korli fixed yet another SMAP violation in the FAT filesystem, making sure that they have a clean separation between user and kernel space and no shortcuts taken. Another Haiku developer Axeld, reworked the code for file locking, so that it can be implemented directly by each filesystem if needed, rather than at the VFS level. This allows locking to work on NFS shares (and also lock other computers from accessing files, then). However this introduced a new panic which is triggered a little too easily currently. It seems that we are in some cases forgetting to unlock the files. The development continues in this areas for sure. krish_iyer user reworked the BString unit tests to clean up various little problems. They were related to style fixes, proper use of cppunit, and other fixes. Alexander Coers removed some old hacks in the PNG translator configuration view, to avoid layouting problems in various cases. The translator settings are a bit difficult to get right because they can be embedded in other application’s windows, as a result they are one of the few places where we must get layouted and old-style non-layouted controls living side by side in a window. 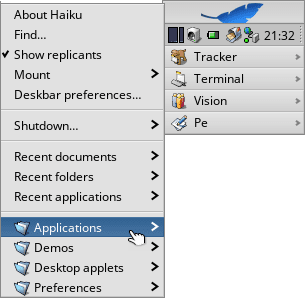 The layout system is an Haiku extension to the interface kit, which allows to let the OS figure out by itself the appropriate size and position of views in a window. Before this, the application had to compute position and size of everything by itself, usually leading to truncated text and other similar issues when changing the font size or the system language. Korli added a blacklist to the usb_hid driver, so that wacom tablets are handled by their dedicated drivers, and also blacklisted a temperature sensor, which is not really an HID device (HID stands for Human Interface Device, and the temperature sensor doesn’t involve an human). Korli also worked on our virtio support, with many fixes to the core of it (the virtio bus), and then much improved support for virtio network. He then added support for the balloon memory virtio device, which allows to dynamically change the RAM size of a virtual machine as needed, and give back unused RAM to the host system. miqlas added the PCI ID for his new wifi card to the list of supported ones, as it seems to be working just fine with the existing driver. Korli reworked various modules to reduce their stack usage, by using dynamic allocation instead. In some cases the issues were mostly harmless, but in others the code could be used to trigger a stack overflow and used as an attack vector. Waddlesplash fixed the test for xattr support, which would not detect them properly if run during a clean build because it forgot to create a directory before using it. tqh made various changes in many places to fix cppcheck warnings as well as some of the problems reported by PVS-Studio when they ran a scan of Haiku. Philippe Houdoin fixed an oversight in the “shutdown” program, which would return an error even when everything went as expected. axeld added a logging system to launch daemon, to allow debugging related problems. There is lots of new things going on at the Haiku camp. 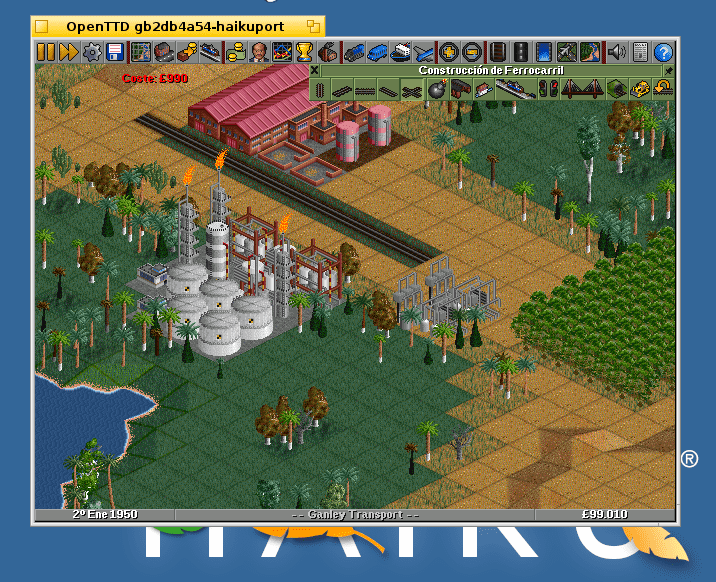 This OS is open source version of BeOS. We at Distrita tries to bring you updates from time to time on whats going at that side. If you know more about Haiku and loves helping it? post at distrita dot com is our mail. For full detail about this news, check out the haiku-os.org news item here.